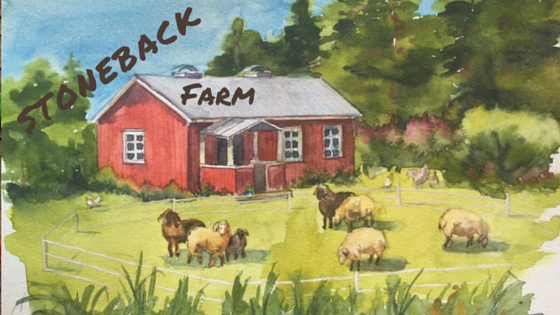 Stoneback Farm: Going for a visit. The Eurasian Magpie, Pica pica. I look like a red-eyed monster. Crying does not become me and I have now stopped. We all feel the loss of our dear Mr. Chip and wish he could come back. I, for one, think getting a new dog soon’ish would be a difficult thing to do. We got a bit spoiled with Mr. Chip so no dog could take his place right now. The problem is that life without a dog is not complete. Two days after our sad day something or someone scared our hens. Katie the hen, who always seems to be running, must have panicked and ran into the barn wall. This resulted in a leg injury and a very stiff neck. The poor little mite was so chocked that she rested for two days without complaints. We had walks outside in the sun, Katie sitting in my lap nattering away like a little squirrel and looking interestedly at the other hens. Her neck started to mend but her leg did not carry too well so she balanced herself with the aid of her right wing. Katie ate as much as before and drank enough water to keep her going, so we just had to hope for her to get better. I felt, right at the beginning, that she was too unwell to carry on but my dear husband gets the hens and said that it was not as bad as it seemed. Little Ulla went missing twice, this week. So to put a bit of a silver lining to the week, I went to visit little Eric. What a treat that was! He is certainly not little any more and he is so beautiful that he is a joy to watch. His kindness has risen to a whole new level, too. (He also lives like royalty...) I brought his favorite chick-hood rice meal with me to see if he remembered it. He immediately started feeding this to his hens, one rice corn at a time and did not eat any of it himself. Later on he apparently ate the rest but his first concern was his ladies. He still looks a little goofy and sweet, to me, but he is now sporting golden wings and blue, green tail feathers and a very proud look on his face. He knew who I was, he made his normal greeting sounds but he did not seemed fazed by my presence at all. He just showed me around and got on with his day. Autumn is well on the way now and it feels like we have storms, rain and sun, all in one day. Huge flocks of migrating birds are passing by, gorging on berries and hen food and then moving on. It all feels a bit nostalgic but at the same time we are glad to help out. We are once again running a pit stop for birds that certainly need all the energy they can get for their journey ahead. Our friends, the magpies, run a security firm, monitoring their every move. The magpies chase the bird of prey that flies by, so we are big fans of the crow family. They get their fair share of food, too. Mindy, Mandy, Molly and My are eating apples. They plod from one tree to the next, munching away. I was told that apples aren't good for them but hopefully they have strong stomachs as we have fruit trees scattered all around the place. I do try to take away as much fruit as I can but they always find something to eat. They do look happy and peppy so fingers crossed. The Eurasian Magpie, Pica pica, is known as one of the most intelligent bird around. They can organise themselves into gangs and use complex strategies when hunting. They also gang up when confronted by predators. We have seen this many times and we are very grateful to them for their input.